Like many people, I spent most of my life thinking that dandelion was no more than an annoying weed to be cleared from the garden before it started to overrun it. What a pity that I did not know any better, had I known how incredibly beneficial they were to my health then I might well have put them to better use than lining the bin. There is a long tradition in many cultures of using dandelion leaves and roots to treat a large variety of complaints. Native Americans boiled and consumed them to treat the kidney, reduce swelling and to ease upset stomach problems and heartburn. The Chinese have used dandelion traditionally to treat stomach issues, appendicitis and improve lactation for breastfeeding women. In certain areas of Europe dandelion has been valued for its ability to treat fever, boils, eye complaints and diarrhea. The range of traditional uses is vast and dandelion is commonly used these days for liver or gallbladder complaints as well as an appetite stimulant and a diuretic but up to this point in time, there have been very few valuable studies into the medicinal benefits of the plant. Do not let its weedy reputation fool you; nutritionally dandelions pack a very powerful punch. They contain minerals such as calcium, zinc and potassium as well as many of the vitamins we require like vitamins A, B, C and D. Those minerals and vitamins are just the tip of the iceberg; dandelion is also full of natural compounds that promote good health like alkaloids, triterpenoids and steroids. The entire plant including the leaves and root contains kynurenic acid which helps support the body’s digestive system. Dandelion also has powerful antioxidant properties and we are all aware how important antioxidants are to combat the cellular damage caused by free radicals. The antioxidant nature of dandelion gives it a number of applications in human health including cardiovascular and liver protection. Dandelion can help treat a number of conditions where diuretics are prescribed. Because dandelion acts as a natural diuretic, it can help the health of the kidneys by clearing out waste and any excess salt or water. The diuretic function of dandelion also helps to inhibit the growth of microbes in the urinary tract. 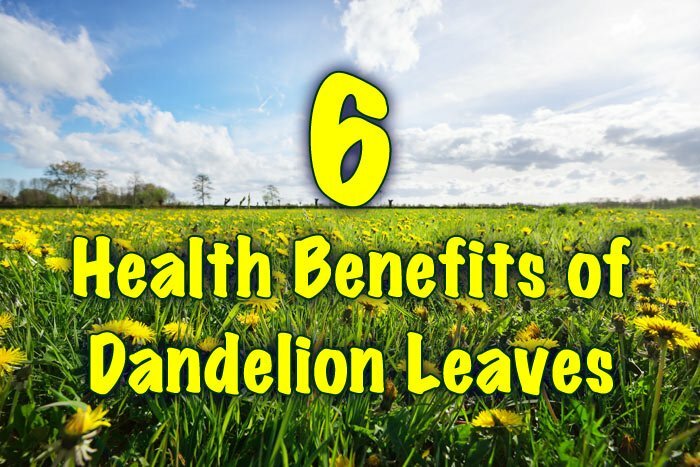 As we mentioned earlier, the potent antioxidant nature of dandelion leaves and root make it a possible weapon in liver and gallbladder treatment but the same properties can help a number of other diseases by reversing damage to the body’s cells and even slowing down the inevitable aging process. In a study published in 2010, scientists at the Italian University; Annunzio Chieti-Pasaca compared the antioxidant effects of several herbs and acknowledged that dandelion had similar antioxidant properties to turmeric which came out just on top. Dandelion was tested for its ability to reduce oxidative stress by analyzing its effect on rats whose livers were damaged by CCl4, a chemical found in refrigerants and fire extinguishers. 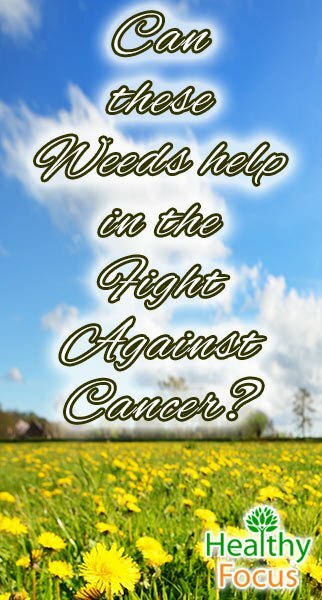 The past few decades have seen herbal remedies being more extensively researched for their cancer healing abilities. Several published studies have analyzed the effects of dandelion root and leaves for cancer. Another study published in 2011 demonstrated the ability of dandelion root tea to kill leukemia cells through the process of apoptosis while not harming healthy cells. (5) Another study published in the same year showed that dandelion root extract could induce apoptosis in melanoma cells without harming healthy cells. Clearly, there needs to be more clinical trials before concrete conclusions are drawn but the early signs are encouraging and the power of dandelions might be even more far reaching than anybody previously thought. According to mostly anecdotal evidence and traditional use, dandelion leaves and root might be able to stabilize blood sugar levels and improve cholesterol in those suffering from diabetes. One animal study conducted at the University of Zagreb demonstrated that dandelion extract was able to lower blood sugar levels in diabetic mice. It should be noted however that there have been no human trials that confirm the effect of dandelion for diabetes. Because dandelion is a natural diuretic, it increases the production and frequency of urination which along with the potassium and fiber content might reduce blood pressure. Dandelion is clearly a very healthy food source, all the more amazing that it grows wild, pretty much everywhere that it can take hold. The next time that you consider clearing out the garden, consider making the most of it; simply throwing it in the bin is a huge waste. While dandelion is available in supplementary form and also sold loose and dried, it makes financial sense to use the real thing and also guarantees that you are getting the best, fresh product. Remember that the entire plant is edible and every part of it contains the antioxidants, minerals and vitamins that will benefit your health. Like most herbs, dandelion is generally considered to be safe but to remain on the safe side, it is important to point out the following precautions. Possible allergic reactions: Touching dandelions might trigger an allergic response in some people and eating it might lead to mouth sores. Dandelion can cause heartburn and an increase in stomach acid. Those with kidney, liver or gallbladder complaints should consult their medical provider before taking dandelion supplements. 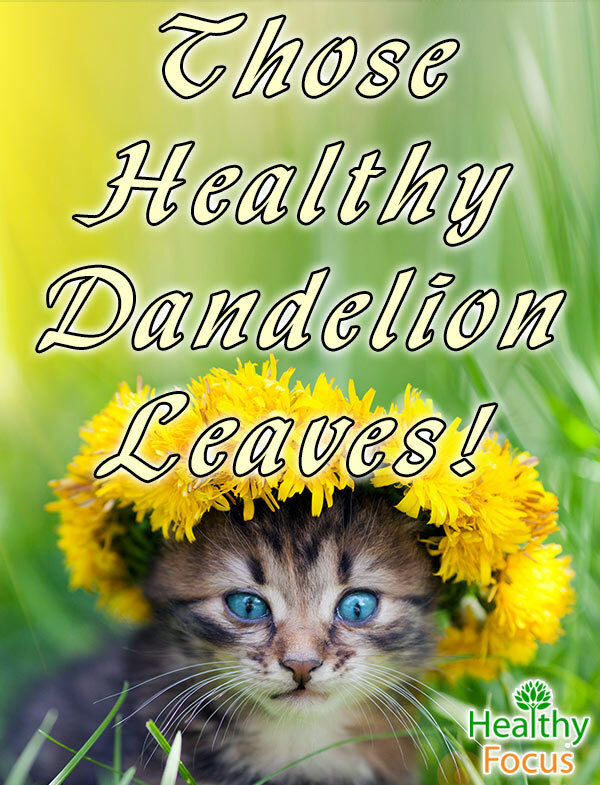 Dandelion might interact with certain medications including diuretic medication, diabetic medication, lithium and antacids so make sure that you ask your doctor before taking dandelion.